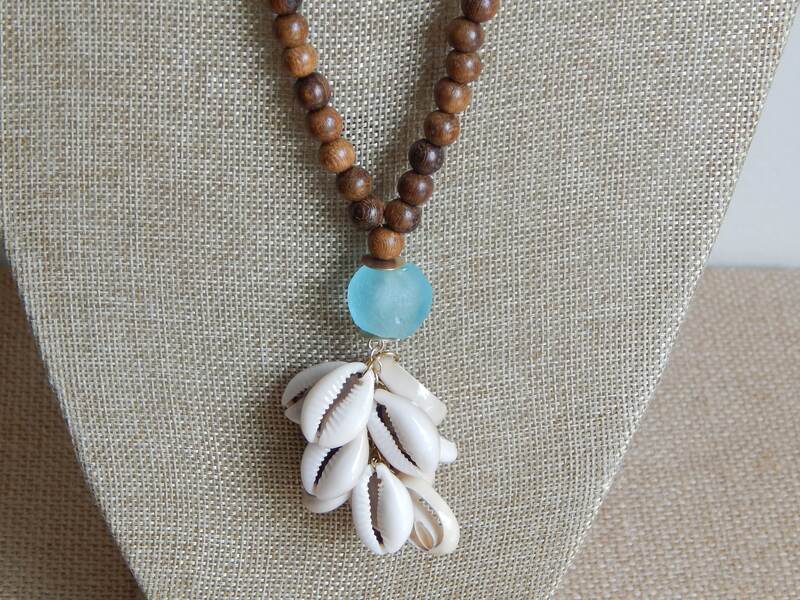 Long wood bead necklace with a cowrie tassel and aqua blue recycled glass lends this necklace beachy bohemian vibe. 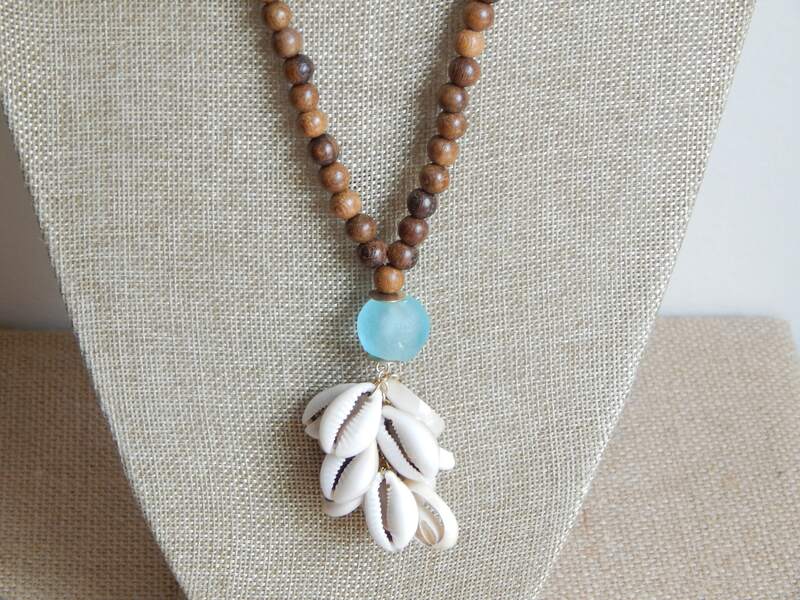 This necklace is neutral enough to be worn with anything easily layers with others from my shop. Necklace length is 36 inches and tassels adds 2.5 inches.